First of all, define the main production material. If you already have a dining table, the choice of options will surely be narrower. For example, if you have a wooden table, you should definitely stick to the same wood type while choosing chairs. Or, if you have a glossy or a glass table, you might want to go with high gloss or leather chairs — even though the latter ones are not that cheap. Seasonal sale is one of those places where you can find very cheap dining chairs that are also of quality. New collections hit the stores early in spring and then later in autumn, so right before that you can find a lot of units from the previous year collections with a very impressive discount. If you are looking for a complete dining set, it will not be easy to find it on sales. Generally, seasonable clearances offer a chance to buy items separately. Even though there is an opportunity to save a bundle, you should be prepared to spend some time looking for the units that are a 100% fit for each other. No matter how low the price may be, remember that quality always comes first while shopping for furniture. Ideally, you should check out any furniture you buy personally — this way it is easier to make sure that build and assembly are also high. Finally, if you need several different units at once — for example, cheap dining chairs, a table,maybe — a display stand or a sideboard — it would be better to order all of them in one place. Not only is it going to be cheaper to keep major decoration theme in mind, you will also save some effort this way. 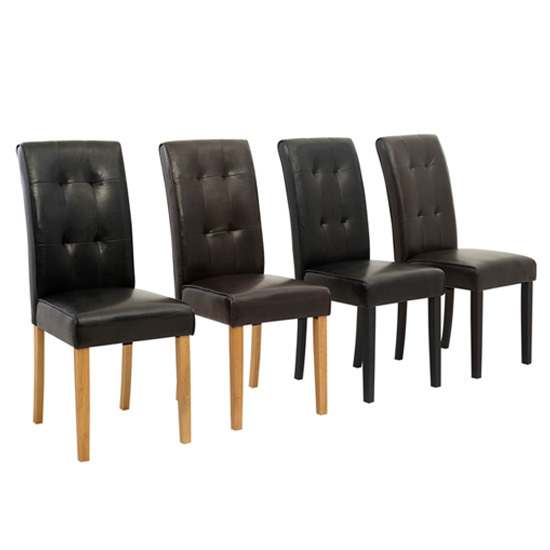 If you are looking for cheap dining chairs in the UK, take a look at Furniture in Fashion . This leading local platform features a very moderate pricing policy as is, and regularly introduces new discounts on top of that. Yet, of course, one of the primary reasons of shopping with this store is a very interesting choice of highest quality furniture from the best local and European manufactures. And, if you would like to take a look at any furniture piece before you make any decisions about the purchase, you are always welcome in a store showroom in Farnworth.